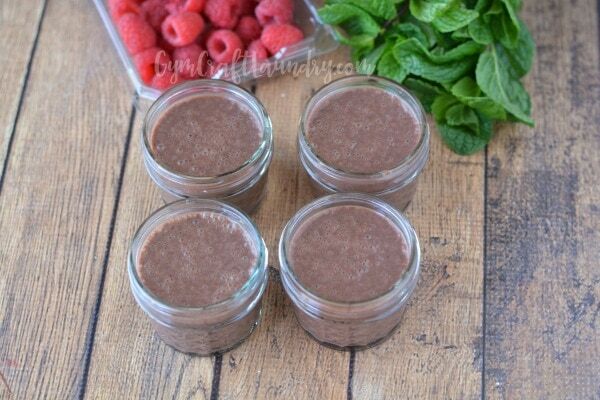 Ready to Drink Protein shakes are a quick and easy healthy snack idea. I toss them in a little lunch cooler for a quick snack when I am out and about. But as much as I love them, I admit they can get boring when you drink them every day. So I find other ways to enjoy my protein while at home. 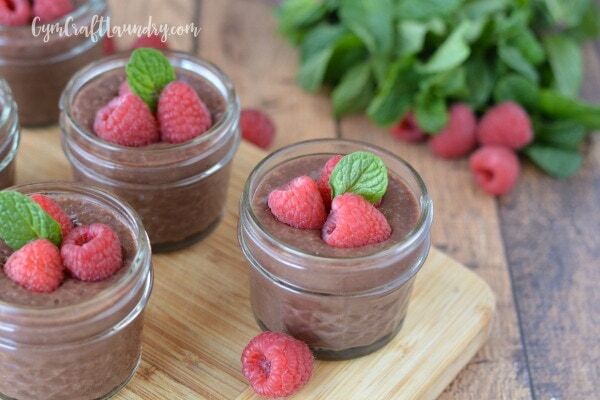 I love to have my protein as a nice, smooth protein pudding! I have a sweets problem, which is why I make the Guilt Free Desserts that I share in my free booklet. I hunt for ways to make the protein that my body needs to get stronger into fun new treats. Protein not only helps your muscles rebuild. It prevents the blood sugar fluctuations that happen when you have high sugar snacks. Sugar highs and lows have a huge affect on my mood and energy levels, not to mention my waistline. So I snack well to prevent those sugar side effects. First, pour the pudding packet contents into a large mixing bowl. Next, add one container of Premier Protein Chocolate Ready to Drink Shake. Last, add the fat-free milk. Note: Soymilk and Almond Milk do not set well. 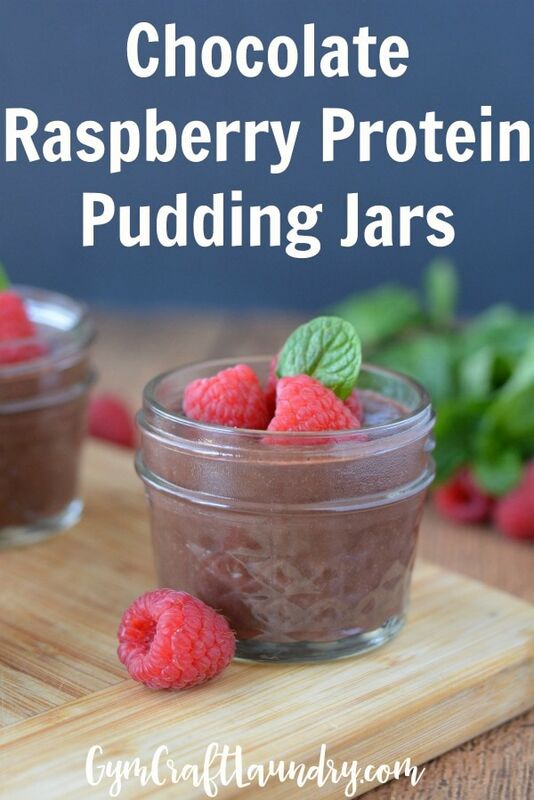 I use milk alternatives in my protein frozen pops recipes but don’t normally use them in pudding recipes. 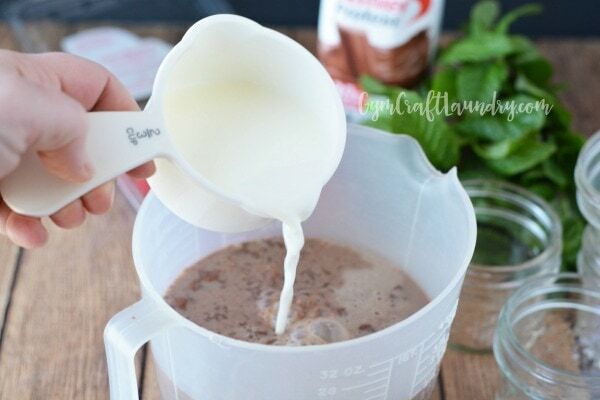 Use a whisk to whisk the mixture until all of the lumps are gone and pudding is dissolved. 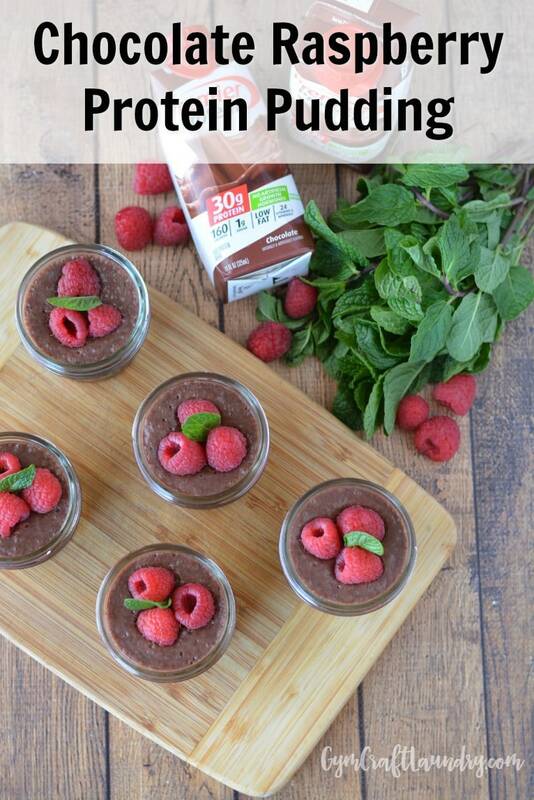 Pour into small 4 oz mason jar cups. Refrigerate for 5 minutes. Garnish with fresh raspberries and a mint leaf. Seriously, how easy is this? 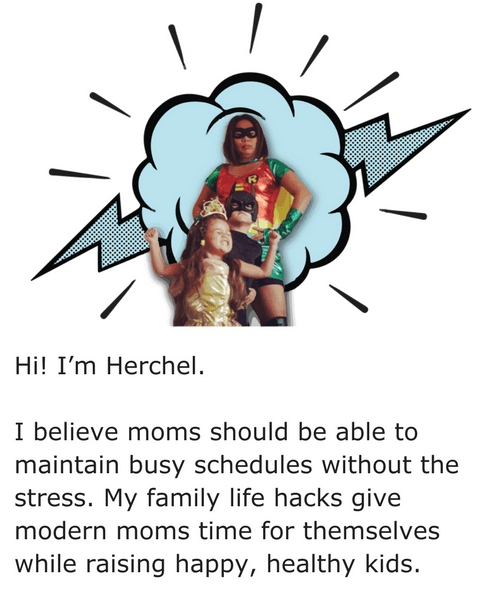 Five minutes for a delicious, nutritious snack. Pour pudding into a large mixing bowl. Add Premier Protein Drink and milk. 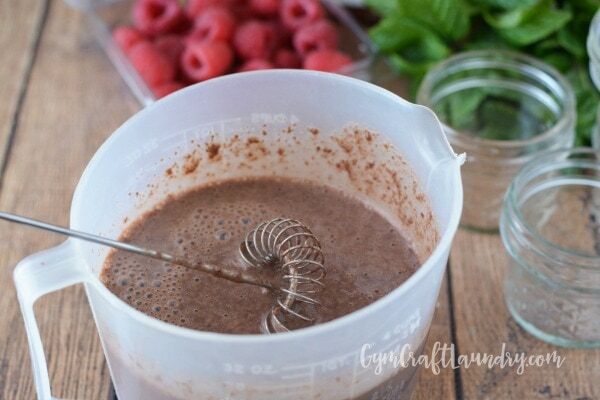 Use a whisk to whisk until all lumps are gone and pudding is dissolved. Pour into small 4 oz mason jar cups. Refrigerate for 5 minutes. Garnish with fresh raspberries and a mint leaf. 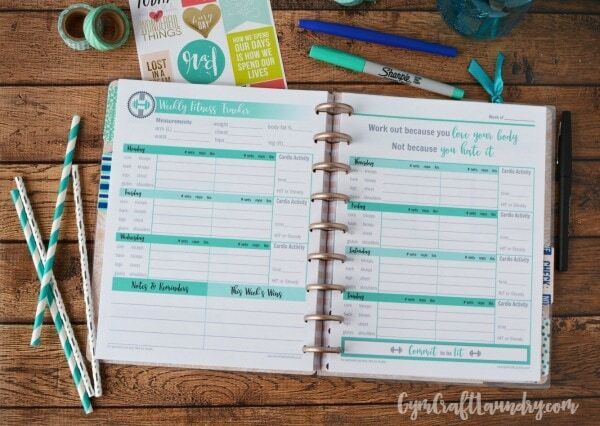 Have you seen my printable fitness planners?